Welcome to our weekly Five Minute Friday link-up! This month we’re doing a special annual challenge called 31 Days of Five Minute Free Writes. Have you checked out the participants’ websites yet? Find some great posts here. 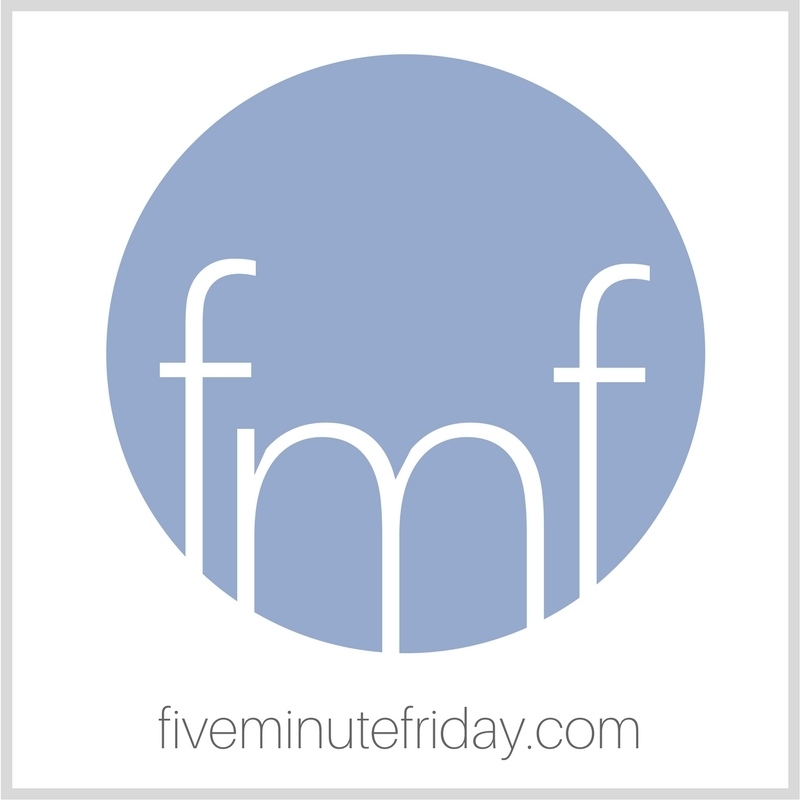 If you’re new to Five Minute Friday, you can find link-up instructions here. This week’s @5minutefriday writing prompt is: PRAISE . . . Come write with us! Back in 2003 I attended a wedding in Cape Town and sat next to a woman who has since become a dear friend. During our conversation, I couldn’t help but notice how often she referenced the Lord—His grace, His goodness, His will, His kindness. I remember being so struck by the frequency of her mention of the Lord, and she did it in such a natural, seamless, unthreatening way. It was like she couldn’t help herself. She inspired me to such a degree that I decided to try it myself. At first, it felt awkward to incorporate the Lord into my daily conversation. It felt out of place, like I was trying to be something I wasn’t or fit in something that wasn’t there. But the more I practiced, the more I got used to it — and the more I realized deep down that it really is the Lord’s doing that everything happens as it does. Several places in Scripture tell us to “Ascribe to the Lord the glory due His name” (1 Chr. 16:29, Ps. 29:2, 96:8). But what does this look like in practice? What would it look like to give God credit where it’s due? Maybe it’s as simple as shifting our language ever so slightly. May He enable us to see His hand in all things and give Him the glory. Before I sign off, I want to make sure you know about this year’s Genius Blogger’s Toolkit! It only comes around once a year for a few days, and each year the resources included in the bundle are different . . . so this week is your ONLY chance to get this particular stack of blogging resources all at once for a crazy discounted rate. I’m especially excited about the free three-month trial of Tailwind and other Pinterest tutorials (becuase I totally don’t understand how Pinterest works but I want to! ), plus some of the SEO site audits and Google Analytics tools (because apparently I’m a nerd like that). Which resources on this list catch your eye? NOTE: This offer ends at midnight on Monday, October 15th, so get your bundle NOW! Affiliate links have been used in this post. Thanks in advance for your support! Join the link-up with your own five minute free write by clicking the blue “Add Your Link” button below! Then visit your link-up neighbor to read their post and leave an encouraging comment. I figure God’s either busting a gut laughing, or I’m about to be turned into a lightning-struck pile of smoking ash. Praise should come as naturally as breathing to the redeemed of the Lord! I am more down to earth and praise new inventions ! I never go to church either, but I think everybody should do what is the best for him or her ! What a great take on this word, “praise”. Yes, that is something I will try to do more. I do it a little but it should be more. Thanking Him for you. I rejoice with you in your newfound friend and her godly influence on your life. I too have a friend who speaks often and with ease about the Lord, and it has rubbed off on me. And yes, at first it seemed awkward, even slightly hypocritical. But the more I focused on the Savior, the less I worried about how others perceived me, and praising God became natural. The best part is: it’s spreading to others! Great reminder! I need to implement that more. I want my conversation to be seasoned just this way, genuine recognition of God.